We’d love your help. Let us know what’s wrong with this preview of The First Lie by Diane Chamberlain. To ask other readers questions about The First Lie, please sign up. Where's the rest of the book? Kamilla The book is called Necessary Lies this is a short story prequel only. This is the short (39 pages) prequel to the authors novel Necessary Lies. It introduces us to a few of the characters from the upcoming novel. It's 1958 in rural North Carolina where thirteen-year-old Ivy Hart lives with her grandmother and sister on a small tobacco farm. We learn more about Ivy and her sister, Mary Ella and their lives on the farm. We find out more about the Hart family, their past and how they relate to each other. We are given an indication of the secrets that will be reveale This is the short (39 pages) prequel to the authors novel Necessary Lies. We find out more about the Hart family, their past and how they relate to each other. We are given an indication of the secrets that will be revealed in Necessary Lies. I found it was a very interesting and quick read. It did get me excited for the upcoming novel. I wouldn't say that you MUST read it before Necessary Lies....but if you love Diane Chamberlain's novels as much as I do then you will not regret reading it. The First Lie is a short story by the American author Diane Chamberlain, written as a prequel to her novel "Necessary Lies", although the author states that they may be read independently. Both works were published in 2013. This short story is set in 1958, two years before the novel. The reader follows the events in Ivy Hart's life, when she is 13 years old. Ivy lives with her grandmother and sister on a tobacco farm in rural North Carolina. They are very poor and live extremely restricted lives. 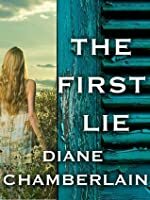 The First Lie is a short story by the American author Diane Chamberlain, written as a prequel to her novel "Necessary Lies", although the author states that they may be read independently. Both works were published in 2013. This short story is set in 1958, two years before the novel. The reader follows the events in Ivy Hart's life, when she is 13 years old. Ivy lives with her grandmother and sister on a tobacco farm in rural North Carolina. They are very poor and live extremely restricted lives. The short story is told from Ivy's point of view, conveying her experiences with her family, her burgeoning adolescence, and thoughts about her best friend Henry. Her sister Mary Ellen is 2 years older than her, and pregnant. She is very beautiful but apparently slow-witted, and eventually gives birth without telling anyone who the father is. However the reader understands, from Ivy's thoughts, who the father is likely to be. The story follows the birth and continues for a short time afterwards. It is clear from all the females' reactions after the birth, what has happened to Mary Ellen since, although the younger Ivy does not quite understand it. The way is paved for the novel proper, and we have been given clues that there are family secrets here, both lies and suppressed knowledge. As a short story this does not quite work. It does not have an ending as such, and you can see the mechanics of the story rather too easily. A scene in a church, for instance, with the two teenagers using a planchette, seems to have no purpose other than to convey some information to the reader, so that they can anticipate events in the forthcoming novel. Diane Chamberlain is an enormously experienced and popular author, with 24 novels published since her first in 1989. She describes herself on her author page as writing "fiction and historical fiction", and elsewhere she is described as writing mysteries and thrillers. She is often compared with Jodie Picoult. However, I cannot say that I enjoyed this piece. There was little description to lift the piece, or much sense of place. And as an English reader I had difficulties with the Southern States vernacular. But these are side issues. It is clear that Diane Chamberlain deals with serious issues in her works, that she intends them to be social novels and perhaps primarily issue-lead. However, the writing itself - the "treatment" - feels like women's fiction. By far the strongest characters are female, and the reader gets no impression of any male viewpoint, or a fully rounded feel for any male characters. In this short story there are just 2 males. One, the boy, Henry, is completely neutral and flat. I can remember nothing whatsoever about him. The other, the suspected father, is described in terms of his handsome physical appearance, his race - and very little else. One gains the impression that the males are present in the novel as mere adjuncts or sometimes triggers to move the action along, the interest lying solely with the females. Women's fiction seems to be concerned largely with relationships in all their forms. Relationships between men and women, between parents and children, brothers and sisters, and friends. The better novels investigate the psychological complexity of a family, and give an indication of a developing character. Common themes seems to focus on love, compassion and forgiveness within a family. It is likely that if you enjoy this type of fiction then you will enjoy this author. Diane Chamberlain has a background in psychology which has given her a good understanding and the ability to create realistic characters. Prior to her writing career, she worked in hospitals in San Diego and Washington, D.C. and opened a private psychotherapy practice in Alexandria Virginia for adolescents. Diane Chamberlain additionally includes a combination of drama, mystery, secrets, intrigue, and unexpected twists in her storylines, which is perhaps why a new novel by her is considered such an exciting event. Personally though, if I am reading about serious issues such as racial segregation and eugenics, or any other other shocking social wrongs from a historically authentic point of view, then to have this written within the genre of entertaining woman's fiction would make me uneasy. It seems to smack slightly of sensationalism. The First Expectation - this must be good. People whose opinion I value, and critics, all say it is. Necessary Expectations - if a short example has a female focus, if everything about the covers of the author's books, (pretty coloured pictures showing partial or secretive views of pretty young women) screams "women's-fiction-for-women-who-don't-want-to-appear-to-be-reading-women's-fiction", if scanning down a list of readers reveals that actually every single one is female, and the only males on the list have noted it as "to-read", then despite what the author says, it probably is women's fiction. There's nothing wrong with that. It's just not what I expected ... nor a style I personally enjoy. Thirteen year old Ivy Hart and her fifteen year old sister Mary Ella live with their grandmother Nonnie on a tobacco farm in North Carolina. Their father died in a tractor accident and their mother has been institutionalised for many years in a mental facility. Ivy quite often sneaks out at night to spend time with her friend Henry as they like to hang out together. One night they decide to spend some time at the local church here they find a ouija board and start playing around with it. Ivy retu Thirteen year old Ivy Hart and her fifteen year old sister Mary Ella live with their grandmother Nonnie on a tobacco farm in North Carolina. Their father died in a tractor accident and their mother has been institutionalised for many years in a mental facility. Ivy quite often sneaks out at night to spend time with her friend Henry as they like to hang out together. One night they decide to spend some time at the local church here they find a ouija board and start playing around with it. Ivy returns home that night to find that her sister has gone into early labour. During Mary Ella's labour Nonnie decides it is time for Mrs Werkman to be notified who is a social worker. Once she arrives they then take Mary Ella to the hospital where she gives birth to a baby boy who is named William. But who is the father of Mary Ella's baby? And what other secrets are the family hiding? Diane Chamberlain is the bestselling author of 21 novels published in more than 11 languages. She lives in North Carolina with her partner, photographer John Pagliuca. I've never read a Chamberlain story before, but as a Jodi Picoult fan, Chamberlain was recommended to me by friends who believe she is WAY better. The First Lie did not convince me of this. The First Lie is an e-short story. It was written with the sole purpose of setting the scene and characters for her new novel Necessary Lies, wh Diane Chamberlain is the bestselling author of 21 novels published in more than 11 languages. She lives in North Carolina with her partner, photographer John Pagliuca. The First Lie is an e-short story. It was written with the sole purpose of setting the scene and characters for her new novel Necessary Lies, which was released in September 2013. The First Lie is set two years earlier in 1958, when the main characters Ivy and Mary Ella Hart are just 13 and 15. They live in poverty with their grandmother on a tobacco farm in rural North Carolina. Ivy is still more child than woman, but Mary Ella is pregnant, holding tight to the secret of her baby’s father. In the middle of a windy, eerie night, Mary Ella goes into labor. Ivy’s mystified as to why her grandmother tells her to call their social worker instead of their public health nurse for help. The answer to that question sets the stage for the story in Necessary Lies. On the whole this short story was OK. I have found that most prequels are weak in their storyline and often appear to have been created simply for the purpose of 'explaining more' or to 'set the scene' for something else. I had that same feeling with this story. To be honest, at 46 pages, I don't know why it couldn't simply have been included in Necessary Lies itself. Appeasing fans? Money? Who knows! The First Lie a novella, short-story as a prequel to the upcoming, riveting, haunting, and absorbing NECESSARY LIES, offers readers a glimpse into the early life of thirteen-year-old, Ivy Hart. It is 1958 in the rural deep south of North Carolina, where we meet the Hart family. A poor teenage girl, Ivy currently living with her elderly grandmother, and older sister on a tobacco farm. Having read NECESSARY LIES first, it was nice to go back to revisit and learn more about the early days of Mar The First Lie a novella, short-story as a prequel to the upcoming, riveting, haunting, and absorbing NECESSARY LIES, offers readers a glimpse into the early life of thirteen-year-old, Ivy Hart. Having read NECESSARY LIES first, it was nice to go back to revisit and learn more about the early days of Mary Ella, and of course Ivy, with injustice, poverty, secrets, and lies. A powerful short story to set the stage for the unraveling of many more dark secrets to come. Just a preview for her upcoming novel Necessary Lies, and based on this it looks like it is going to be full of suspense, secrets and mystery. Churches and spirits and a wonderful character in a young girl named Ivy and her sister Mary Ellen, who is slow but at fifteen has just had a baby. Can't wait to see where it goes from here. This novella is a good indication of why Diane Chamberlain is one of my favorite authors. It is rare that such a short story can so completely capture my attention and then leave me feeling entirely satisfied with what I read. I loved the character of Ivy, and enjoyed the glimpse into her life and family. The storyline was very engrossing, and I am anxious to read Necessary Lies to find out how it connects to The First Lie. Thirteen year old Ivy lives in a tenant farmer's cottage on a tobacco far This novella is a good indication of why Diane Chamberlain is one of my favorite authors. It is rare that such a short story can so completely capture my attention and then leave me feeling entirely satisfied with what I read. I loved the character of Ivy, and enjoyed the glimpse into her life and family. The storyline was very engrossing, and I am anxious to read Necessary Lies to find out how it connects to The First Lie. Thirteen year old Ivy lives in a tenant farmer's cottage on a tobacco farm with her mother and older sister in 1958. Her fifteen year old sister, Mary Ella is pregnant and won't reveal who fathered her baby. When Ivy comes home in the wee hours one morning after spending the night with her friend Henry and a Ouja board, her sister is in labor. Ivy is puzzled by some of the events that occur that night, but soon her sister is home with a precious new baby named William. Ivy realizes that she is going to have a huge responsibility in the family now since her grandmother and sister can barely take care of themselves. Ivy is ready to embrace her new nephew and the responsibilities that go along with him. This is a short story, about 35 pages long, written by Diane Chamberlain and published by St. Martin's Press. In Grace County, North Carolina in the late 1950's, Ivy at the age of 13 lives with her grandmother and older sister, Mary Ella in tenement house. Mary Ella is pregnant and in labor when Ivy returns home after a night out with her friend. She and Henry had gotten their hands on a Ouija board and had been visited by a spirit. Now, Ivy is trying to get her sister some help having her baby a This is a short story, about 35 pages long, written by Diane Chamberlain and published by St. Martin's Press. Mary Ella is pregnant and in labor when Ivy returns home after a night out with her friend. She and Henry had gotten their hands on a Ouija board and had been visited by a spirit. Now, Ivy is trying to get her sister some help having her baby and it looks like it' s going to be hard on her sister. In the end there is a happy occasion. This book is a prelude to the upcoming Necessary Lies. There is a chapter of the novel included in at the back of this short story. The First Lie is the novella to Necessary Lies and it give you a early glimpse into what happened before Necessary Lies came out. Ivy is a thirteen year old, living with her older sister who is fifteen and pregnant, and their grandmother, living on a tabacco farm as tenants. One night will change everything that Ivy knows and a future that will be filled with secrets. It's 1958 in rural North Carolina, Ivy has sneaked out the house to go play a game in a church with her friend, Henry. When Ivy c The First Lie is the novella to Necessary Lies and it give you a early glimpse into what happened before Necessary Lies came out. Ivy is a thirteen year old, living with her older sister who is fifteen and pregnant, and their grandmother, living on a tabacco farm as tenants. One night will change everything that Ivy knows and a future that will be filled with secrets. It's 1958 in rural North Carolina, Ivy has sneaked out the house to go play a game in a church with her friend, Henry. When Ivy comes back early in the morning, her sister is about to have the baby and the first lie is about to be told to Ivy about what is gonna happen to her sister. After the baby is born and the lie has been told to Ivy, when Ivy overhears an conversation between her grandmother and a social worker, she realizes that nothing is ever gonna be the same and it sets us up for what happened in Necessary Lies! This may be a very short read, it took me about 30 minutes to read it but it had me wishing that I had Necessary Lies so i can know what happens! As i read this story, I just couldn't believe the lie that was told and you just think about what life was like back then to be able to do something like this and you know this really happened in real life. As with all of Diane's books, you just wish that you had enough money to buy them all to devour them in a couple weeks time! Thank You to Diane Chamberlain for giving people like myself a deeper insight on what is to come in Necessary Lies! In this prequel to Necessary Lies, 15 yo girl (Mary Ella) births a son (William). This was good! Why did I wait so long to read something from this author? I’m always the last one to the party it seems. Probably because I keep telling myself I don't care for these kinds of stories when in fact I do. That's one of the nice things about Goodreads it encourages you to try new authors. Now, I'm off to find out what happened to Ivy and Mary Ella, and their Grandmother. Necessary Lies here I come! I dont know what happened with the book. It is short so no character development for you future reader of the book. Maybe there might be a tiny exception in the end but I am not sure. I think I have realised what the title means but if its not that than there is the case of the title being unrelated to the books contain. I am intrigued since this is an intro to a story and I am looking forward to reading the next book because I have questions that need to be answered. This engrossing short story, a prequel to Chamberlain's novel Necessary Lies, makes me so glad that I am going to start reading the book tonight! The scene in the church in the middle of the night when Ivy and Henry are attempting to contact the spirits using a "borrowed" Quija board is really spooky! The First Lie is a very entertaining and effective introduction to thirteen-year-old Ivy, her best friend Henry, her paternal grandmother Nonnie, and her sister Mary Ella, etc. Excellent! This very good short e-story (with a ghost) is the prequel to Diane Chamberlain's new book Necessary Lies. I'm hooked! I loved this short introduction to Necessary Lies! It helped having a little more background on the family and experiencing a pivotal day that we had only bits and pieces of in the full novel. Great short story! Wow! I went into this novella thinking it would be another unnecessary introduction to a novel as novellas have been a trend recently. I was pleasantly surprised by how well written and compelling The First Lie was! With Diane Chamberlain as the author, I shouldn't have been surprised. She always turns out quality writing that hooks me in immediately. I actually read this novella after having read Necessary Lies a few years ago and I really enjoyed getting more of the backstory and being able to Wow! I went into this novella thinking it would be another unnecessary introduction to a novel as novellas have been a trend recently. I was pleasantly surprised by how well written and compelling The First Lie was! With Diane Chamberlain as the author, I shouldn't have been surprised. She always turns out quality writing that hooks me in immediately. I actually read this novella after having read Necessary Lies a few years ago and I really enjoyed getting more of the backstory and being able to witness the birth of Mary Ella's child. Ivy's loving response to her new nephew was heartwarming. This hooked me, can’t wait to read Necessary Lies to find out what happened to Ivy, William and Mary Ella. Goodreads Description- The First Lie gives readers an early glimpse into the life of thirteen-year-old Ivy Hart. It’s 1958 in rural North Carolina, where Ivy lives with her grandmother and sister on a tobacco farm. As tenant farmers, Ivy and her family don’t have much freedom, though she and her best friend, Henry, often sneak away in search of adventure…and their truest selves. But life on the farm takes a turn when Ivy’s teenage sister gives birth—all the while maintaining her silence about th Goodreads Description- The First Lie gives readers an early glimpse into the life of thirteen-year-old Ivy Hart. It’s 1958 in rural North Carolina, where Ivy lives with her grandmother and sister on a tobacco farm. As tenant farmers, Ivy and her family don’t have much freedom, though she and her best friend, Henry, often sneak away in search of adventure…and their truest selves. But life on the farm takes a turn when Ivy’s teenage sister gives birth—all the while maintaining her silence about the baby’s father. Soon Ivy finds herself navigating the space between adolescence and adulthood as she tries to unravel a dark web of family secrets and make sense of her ever-evolving life in the segregated South. Even though this short story is only about 40 pages long it definitely sparked my interest into reading Necessary Lies, Diane Chamberlain's next book to which this was a short prequel to. Ivy and her friend Henry have snuck out in the middle of the night to play with a forbidden Oija board during which they "make contact" with a spirit named Ruby. Ruby tells them some frightening information that scares Ivy. When she returns home, she finds that her sister, Mary Ella, is in labor with her child. Mary Ella is young mother and everyone is worried about her health after the child is born. Ivy also overhears a conversation that makes her question the motives and actions of her grandmother, Nonnie. After spending the night playing with an oujia board in a church graveyard,, thirtren-year-old Ivy Hart arrives home at 4:00AM to hear her fifteen-year-old sister Mary Ella screaming with labor pains. Rather than calling the nurse, their grandmother instructs Ivy to call their social worker, who says Mary Ella has to go to the hospital to get her "appendix out" after giving birth. Diane Chamberlain has created a wonderful, unique voice in Ivy, a poor girl growing up half a century ago. She captur After spending the night playing with an oujia board in a church graveyard,, thirtren-year-old Ivy Hart arrives home at 4:00AM to hear her fifteen-year-old sister Mary Ella screaming with labor pains. Rather than calling the nurse, their grandmother instructs Ivy to call their social worker, who says Mary Ella has to go to the hospital to get her "appendix out" after giving birth. This is a short story, leading up to Diane's new release in September. Having read most of Diane's books, I knew there would be a twist or two and I couldn't wait to see how she would do this in just 35 pages....the reveal is subtle but powerful ! The First Lie – a teaser, a tantilizer, the short prequel to Diane Chamberlain’s newest novel coming out now Necessary Lies……Loved 'The First Lie' from the first page as we are introduced to Ivy and her family which I am assuming sets the scene for us ready for the new novel. Compelling, loved the characters and made me hungry for more. Luckily, Necessary Lies is now out and I could start reading it immediately. I am a huge Diane Chamberlain fan and was super excited by the novella and now Neces The First Lie – a teaser, a tantilizer, the short prequel to Diane Chamberlain’s newest novel coming out now Necessary Lies……Loved 'The First Lie' from the first page as we are introduced to Ivy and her family which I am assuming sets the scene for us ready for the new novel. Compelling, loved the characters and made me hungry for more. Luckily, Necessary Lies is now out and I could start reading it immediately. 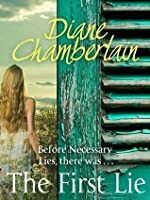 I am a huge Diane Chamberlain fan and was super excited by the novella and now Necessary Lies………off to do some reading! This is a short prequel to Necessary Lies. I decided to read it even though I read Necessary Lies first, and I was glad I did. It gives more background to some pivotal events that happen two years before Necessary Lies. brilliant preview to the author s new book - Necessary Lies. we meet Ivy & her sister Mary Ellen. makes you want to have the whole story to read right now. Well this book gave no insight into anything. It should have just been added into the first book. Nice little short but wish I had read it BEFORE the full length novel lol. But, always nice to revisit old characters. This was a good short story and a good lead into Necessary Lies. Just a short story prequel to her latest release, Necessary Lies, but even though it was short it was told with an even dose of suspense. Diane Chamberlain is the New York Times, USA Today and Sunday Times bestselling author of 26 novels published in more than twenty languages. Her most recent novel is The Dream Daughter. Some of her most popular books include Necessary Lies, The Silent Sister, The Secret Life of CeeCee Wilkes, and The Keeper of the Light Trilogy. Diane likes to write complex stories about relationships between men Diane Chamberlain is the New York Times, USA Today and Sunday Times bestselling author of 26 novels published in more than twenty languages. Her most recent novel is The Dream Daughter. Some of her most popular books include Necessary Lies, The Silent Sister, The Secret Life of CeeCee Wilkes, and The Keeper of the Light Trilogy. Diane likes to write complex stories about relationships between men and women, parents and children, brothers and sisters, and friends. Although the thematic focus of her books often revolves around family, love, compassion and forgiveness, her stories usually feature a combination of drama, mystery, secrets and intrigue. Diane’s background in psychology has given her a keen interest in understanding the way people tick, as well as the background necessary to create her realistic characters.